About John Klinghammer: John Klinghammer is the 3rd/Bass Clarinetist with the Kansas City Symphony. He has served as acting Associate Principal/Eb for the Kansas City Symphony during the 2014-15 and 2016-17 seasons, acting 3rd/Bass Clarinet for the 2015-16 season, and prior to that had been Assistant Principal/Eb clarinet with the Omaha Symphony from 2001-2014. Before arriving in Omaha, he served a one-year stint as 2nd/Bass clarinet with the Jacksonville Symphony Orchestra. He has been principal clarinet of the Des Moines Symphony, a member of the National Repertory Orchestra, and has also appeared with Breckenridge Music Festival, Omaha Chamber Music Society, Vesper Concerts, Tuesday Musical, Monument Piano Trio, Analog Arts Ensemble, Eko Nova, on the Kansas Symphony’s Happy Hour series and with Art of Elan. John received his Bachelor’s degree from the University of Oregon, and Master’s and Doctorate degrees from the University of Southern California Thornton School of Music, where he became a member of the USC Scholarship Woodwind Quintet. He spent a year as principal clarinet of the YMF Debut Orchestra of Los Angeles, and in 2000 performed the Copland Clarinet Concerto with that orchestra. John has given master classes and recitals at universities across the country, and has been on faculty at the University of South Dakota and the College of Saint Mary. He helped create the Eko Nova new music series in Omaha, and served as its first artistic director. He has also served as a staff conductor with the Omaha Symphony, helping to create and lead some of the orchestra’s many nationally respected educational programs. John spends his summers performing in Oregon with the Britt Music Festival, and maintains a private studio that must contend on a regular basis with the strong opinions of his teaching assistant, Leopold the dog. His many wonderful teachers include Cindi Bartels, Dr. Wayne Bennett, Michael Anderson, Ted Oien, Mitchell Lurie, Michele Zukovsky, and the incomparable Yehuda Gilad. Tower Duo returns to KANEKO for Eko Nova on February 4! For this performance, Erin Helgeson Torres and Michael Rene Torres, 21st century Renaissance Musicians and flute and saxophone duo, premiere works written in the 21st century, for the 21st century. The Omaha Chamber Music Society and KANEKO’s Eko Nova concert series introduces Omaha audiences to some of the most innovative and inspiring musical works written today – music that looks outward with an openness to a myriad of genres, styles, and forms. With virtuosic performances from the region’s finest musicians, plus guest appearances by extraordinary artists from around the country, these events appeal to a diverse crowd, from lovers of contemporary art, to classical music fans and beyond. 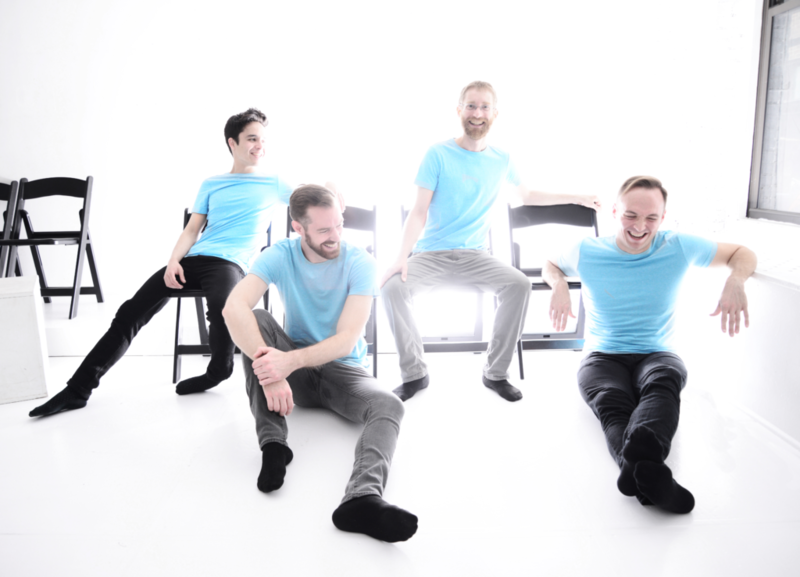 The Eko Nova Season concluded on April 16 with Tornado featuring Joshua Roman, internationally acclaimed cellist, and the phenomenal JACK Quartet, who performed a concert centered around Roman’s own work, Tornado. 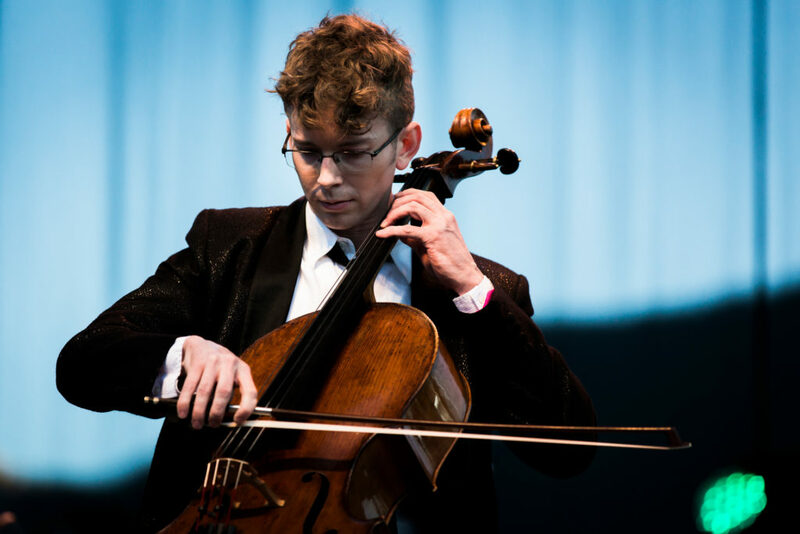 Cellist, composer and Curator Joshua Roman has earned an international reputation for his wide-ranging repertoire, a commitment to communicating the essence of music in visionary ways, artistic leadership and versatility. As well as being a celebrated performer, he is recognized as an accomplished composer and curator, and was named a TED Senior Fellow in 2015. We joined Omaha Symphony Principal Flute Maria Harding, fellow Symphony colleagues, and Vintage Ballroom for an evening of music and dance celebrating the passionate tango of Argentina. Wine and chocolate by the Old Market’s own Chocolat Abeille rounded out the evening!